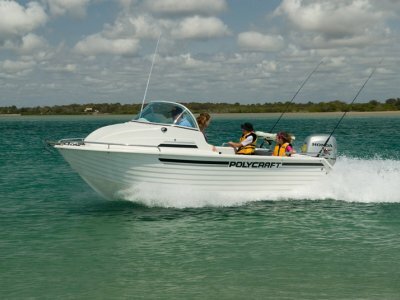 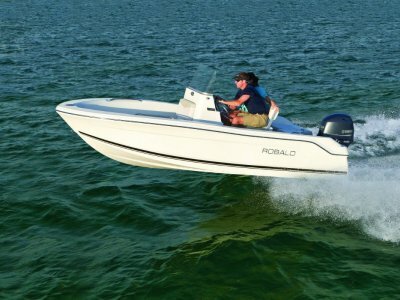 Polycraft 4.50 Drifter series, available in Open, Side Console, Centre Console, Runabout and Frontrunner models; versatility is the key. 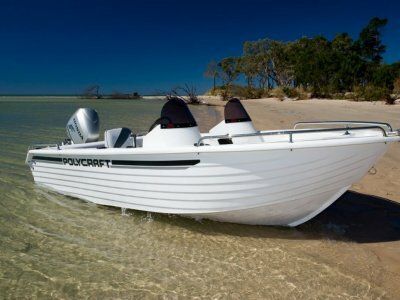 Winner of the coveted Australia's greatest boat award, the Drifter offers a high freeboard, stable & safe platform that can handle up to 60 HP for all of your fishing, skiing and cruising requirements. 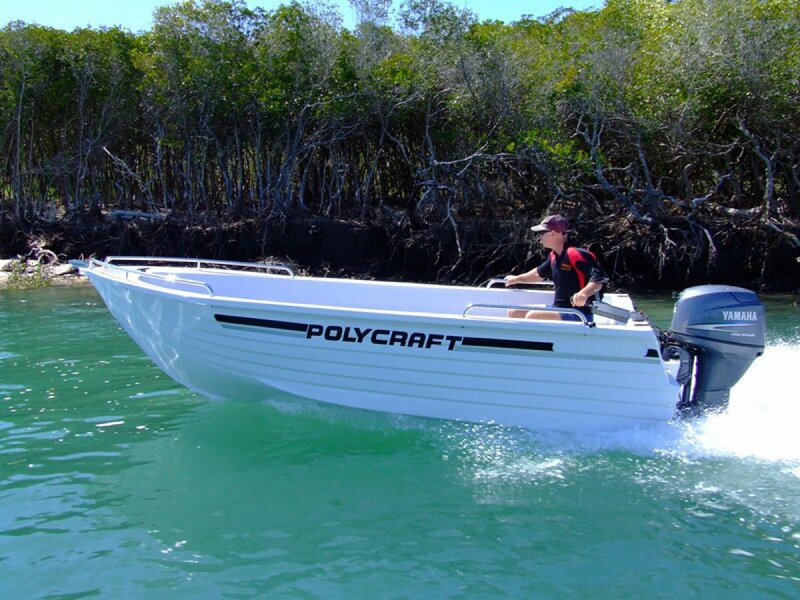 Heaps of standard features such as: Anchor well, bow and stern hand rails, front casting deck and rod holders can be supplemented by adding, ski hooks, rear casting deck, side pockets, extra seating, 70 litre under floor fuel tank, bait box and more! 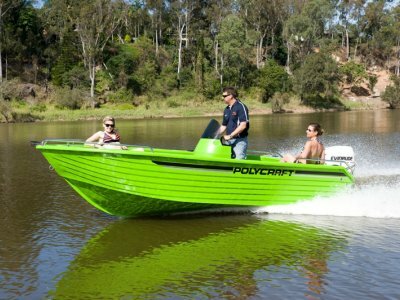 Priced here as an open boat on a single axle trailer and with a Honda 40 HP 4 stroke tiller steer outboard all you have to do is choose one of the 7 colours we offer, select your options and away you go. 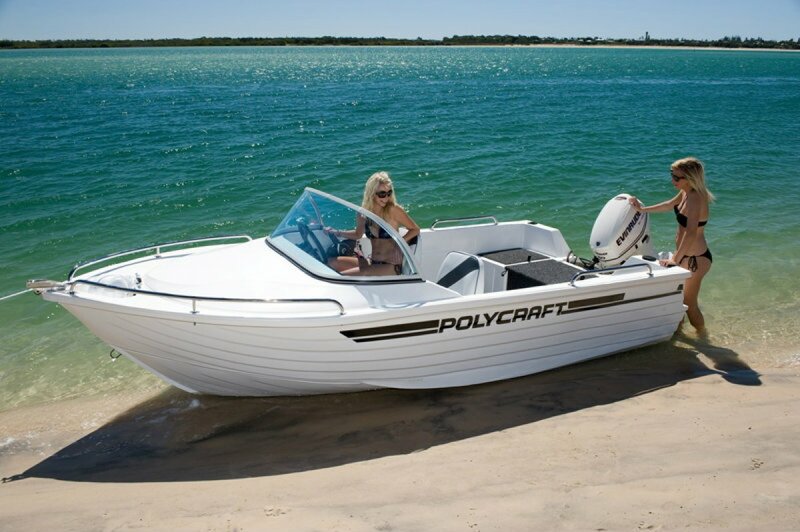 The 4.5 Drifter has been a favourite of commercial hire boat fleets around Australia; call us now if you need your boat/s in survey.